Larkspur, CA. – Marin Brewing Company announced today that their 3 Flowers IPA is now available in bottles. The fan-favorite IPA will be sold at Marin Brewing Company and in selected local retailers. This will mark the first time the IPA is available by the bottle and sold outside of Marin Brewing Company walls. Marin Brewing Company’s 3 Flower IPA is a straw colored Rye IPA. The three flowers referred to in its title are: Citra, Cascade, and Chinook hops, which are cast into the brew liberally, and contribute a lovely citrusy, floral aroma that Marin Brewing Co. fans have been enjoying since February 2011. The 3 Flowers IPA is 6.5% ABV and received a Gold medal in the 2011 Great American Beer Festival, as well as a Silver medal in the 2012 World Beer Cup. 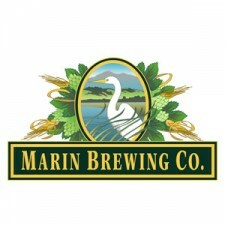 Founded in 1989, Marin Brewing Company is a premiere craft brewery and restaurant located in Larkspur, California. Marin Brewing Company has won global recognition for outstanding artisan beers. To learn more about Marin Brewing Company’s award-winning family of beers and our acclaimed food selection, visit the Marin Brewing Company website.